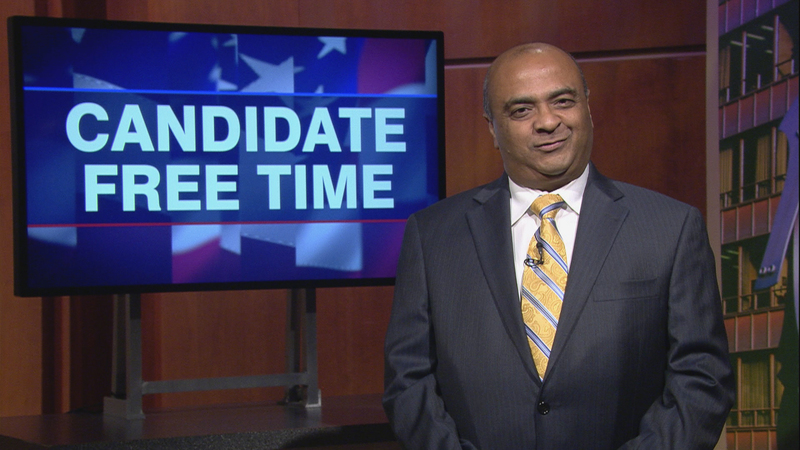 Video: Jitendra “JD” Diganvker tells voters about his platform. Learn more about Candidate Free Time. I immigrated here legally in 1995 because the American dream is available to everyone who seeks it. But it doesn’t come without hardship and sacrifice. And my story is no different. Like many people, I have experienced triumph and tragedy. After years of hard work and saving money, I decided to start my own business. But I quickly realized the negative impact of the corrupt Democratic-machine and their policies that led to higher taxes, rising healthcare costs and unnecessary regulations. While my business struggled, I decided to drive for Uber to support my family. And during this journey, I logged over 10,000 rides; meeting thousands of wonderful, hard working Americans who shared similar experiences and who felt ignored by crooked politicians. All talk and no action. But never to quit, I launched a second business – a credit card processing firm that is based in Schaumburg – where I live with my beautiful wife Nalini and our son Deep. I am not a career politician. I am a representative of hard working Americans, a man of the community, and a man of action. As the U.S. Representative for the 8th Congressional District, I won’t work for Nancy Pelosi, an out of touch California millionaire. I’ll work for you, my fellow middle-class, hard-working friends and neighbors. Our national motto is “E Pluribus Unum,” which means “out of many, one.” And together, I know that we can do a lot to ensure that every citizen not only dreams the American dream, but also lives it. What are the most pressing issue facing constituents, and how can you help address it? This is the most important election of our lifetime. My opponent doesn’t work for us, middle-class, hard-working Americans. My opponent works for Nancy Pelosi. And if the Democrats take control of the House in November, you can throw a debate on policy, or addressing real issues out the window. Why? The entire focus, or fascination of the Democratic Congress and my opponent will be the impeachment of President Donald J. Trump. You can forget a discussion on improving access to healthcare and lowering costs under a Democratic Congress. You can forget a discussion about solving the opioid crisis, which is turning our communities into war zones and killing our citizens under a Democratic Congress. You can forget a discussion about creating more jobs and opportunities for women and minorities under a Democratic Congress. You can forget a discussion about securing our border and enforcing existing laws under a Democratic Congress. There is too much work to do to be focusing on impeachment proceedings. And that is why I am running for Congress. This is legislative malpractice, and my opponent will be found guilty. Hello friends. My name is JD Diganvker and I’m the Republican nominee for U.S. Congress, Illinois 8th District. For many of you, this is the first time you are meeting me. So allow me to introduce myself. I am a proud Hindu-American. I followed the legal process and migrated to the United States in 1995 to pursue my American dream. On February 4, 2003, I became a U.S. citizen. The American dream is available to everyone. But it doesn’t come without hardship and sacrifice. And my story is no different. Like many people, I have experienced triumph and tragedy. I would be honored by your support on November 6th. I’m JD Diganvker, and I’m a proud Republican running for Congress.